The world is going Google and so does schools.Several school districts in the States and here in Canada are experimenting with Google products like Chromebooks and Google Apps to enhance students learning and improve their overall achievements. 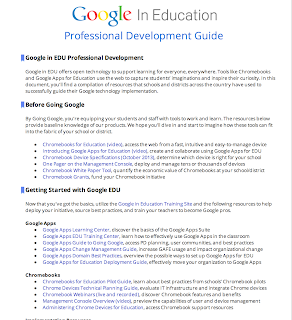 Google has set up a platform dedicated to education and called it Google in Education where students, teachers, educators, curriculum designers have access to a treasure trove of resources and materials offered by Google for the betterment of education. 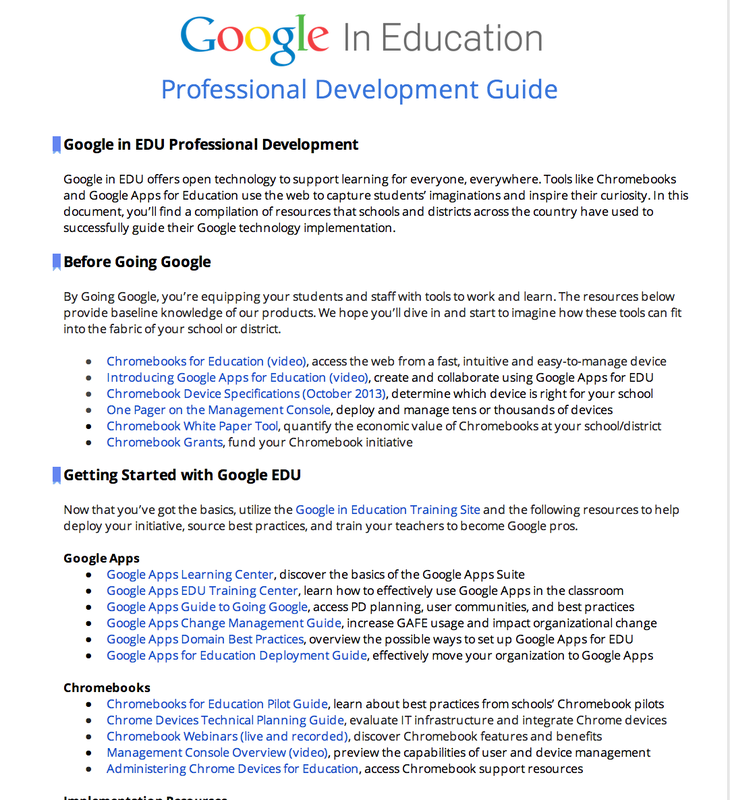 For those of you who do not know what Google Edu has in store for your class, here is a very good Google document that features some, if not all, of the products that Google Edu provides to teachers and school districts. Check it out below and as always, share with your colleagues. I learned about this resource from Lynda Hall. Click HERE to check the original doc.